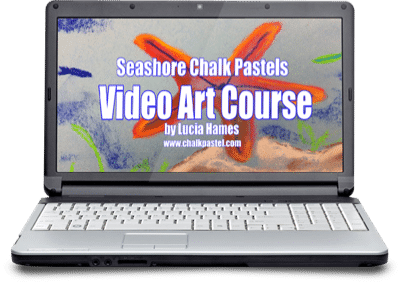 Seashore Chalk Pastel Video Art Course - You ARE an ARTiST! 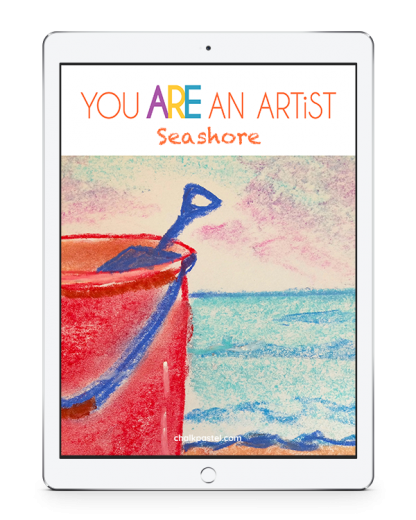 Nine seashore chalk pastel art tutorials for a special introductory price! Your favorites from the beach to fill summer afternoons. Do you adore the seashore like we do? 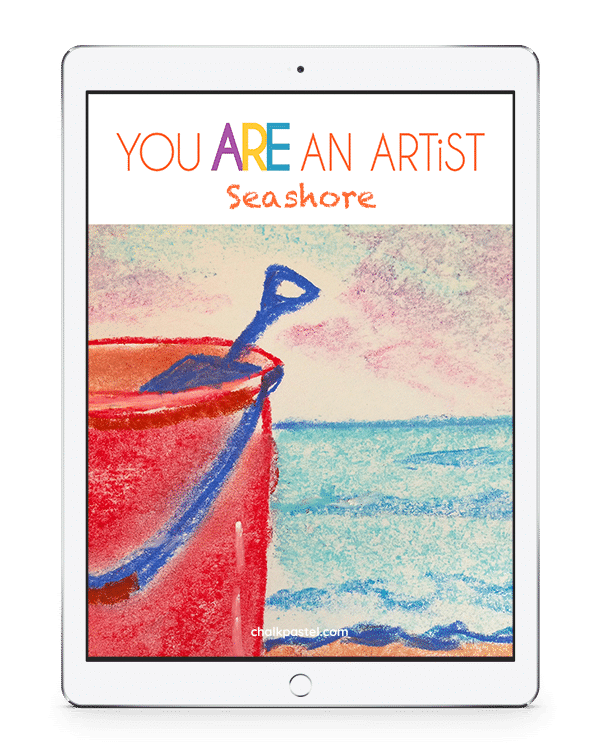 We share all the best of our seashore chalk pastel art tutorials to fill up your summer or to give you a taste of the beach you love! 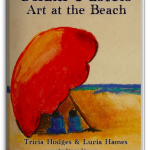 Everything from beach scenes to a sea star and a turtle. There is even a night shark! 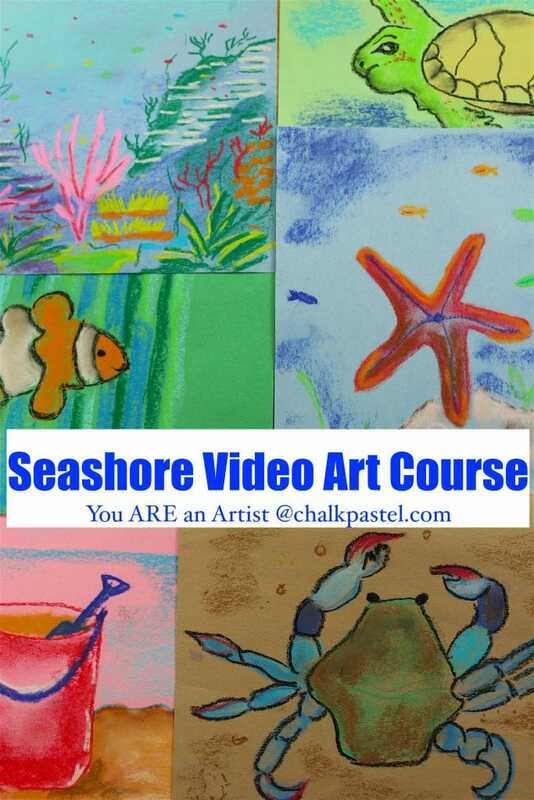 Seashore Video Art Course is for beginning or continuing art lessons in the chalk pastel medium. 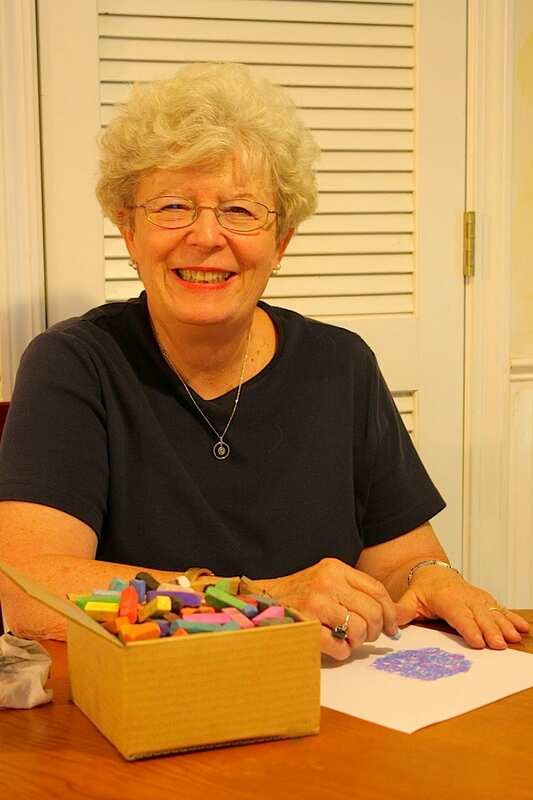 Chalk pastels are a wildly successful medium! If you have been wanting to add art to your days, now is the time. No lengthy, expensive, intimidating supply list! Just add: (1) chalk pastels (2) paper turn on your video tutorial and go! Enjoy from the comfort of your home on your schedule. What is included in this Seashore video art course? Sandcastle from Chalk Pastel on Vimeo.